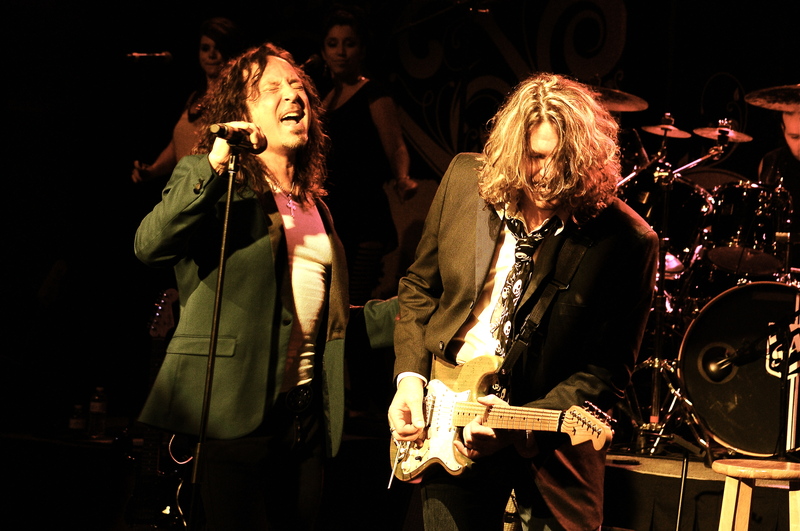 Steve Augeri may be best known more for his time in Journey as he replaced icon singer Steve Perry. But some tend to forget he also fronted Tall Stories, a band from New York City as well as a brief stint with Tyketto, another outfit who were popular in the 90s. We had the opportunity to talk to Steve and find out what he’s been up to and what the fans can expect from him at one of his live shows. Rock Show Critique: It has been quite some time since you last played the area, can you give the fans a rundown of what you have been up to recently? 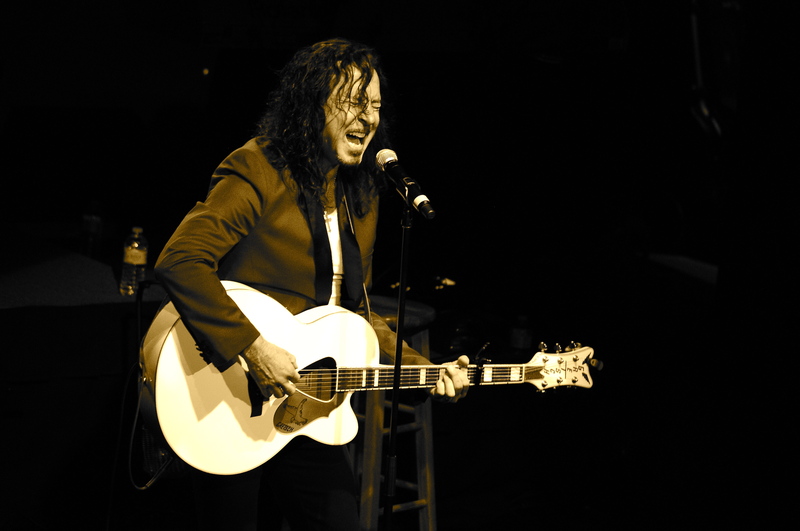 Steve Augeri: I’ve been trying to figure out exactly how many years its been. It’s over ten years that’s for sure. The last time I was up there was when I traveled with Journey. You guys have some cold winters, I’m glad we’re coming up there just in time for spring. After I left Journey and we parted, after we went our separate ways, I had some health issues to deal with and that took a couple years and a little soul searching to see if I wanted to continue singing. When I decided that I absolutely did, I got myself together physically and mentally and formed a wonderful new band called The Steve Augeri Band. And this year we’ve been going full steam ahead and we’re having our best year yet. I’ve been releasing singles periodically over the last couple of years. We are releasing a brand new song called “For The Rest Of My Life”. So we’re pretty excited about that and in addition to playing the Seneca Casino we’re gonna do a little sightseeing too. RSC: So who will you be bringing with you to perform at Seneca Niagara Casino this Friday? SA: We work with two fantastic ladies from The Chicago area as my background singers. I actually have somebody making a guest appearance especially for this show, who worked with me in a band called Tyketto. So Brooke St. James my dear old friend has come to the rescue because my guitarist in the band Adam Holland was unable to make it. So Brooke always steps in and he comes to the rescue and he’ll be playing the show with us. He’s always fantastic and amazing to hear. So its the Steve Augeri band with Gerard Zappa on bass, Craig Pullman on keyboards and the fabulous and lovely and talented Michael Morales on drums and vocals and yours truly. RSC: Are there any things planned with Tall Stories in the near future? SA: Well I speak to Jack (guitarist Jack Morer) pretty regularly and Jack what he does these days, apart from composing and writing for soundtracks, he does dance music for ballet etc etc. We’re always open to getting together and playing a one off gig every now and then. And that’s not out of the question, we always keep in touch. When the urge hits us and we feel like doing something especially for a charity or a good cause. We’re always up to something like that. But as far as a full-blown record, not in the works right now. But I do have a single and was just speaking to Jack about a month ago and we’re planning on at the very least if not a Tall Stories release it will be on the next Steve Augeri album. RSC: Now when you say album, Is there a plan to release a full album? SA: Well my plan is to release a number of singles, an album full of singles then put it on a disc and sell it at the shows. They will always be available singly on itunes. When I’ve released anywhere from ten to fifteen songs I’ll just compile it on a CD and sell it. But as far as albums I may be wrong but I think the trend these days are less album orientated and more single orientated. Let’s say its taken me awhile to release a record for various reasons. Mainly because I think if you have a good song put it out immediately. There’s no sense in waiting an extra week, or an extra month or an extra year to compile the record. We’re living in different times, with downloads versus CD sales it just seems the way to go and it’s a lot more fun. RSC: You also did the Shine album with Tyketto? What was that experience like? The track “Get Me There” is one of your best. SA: It was an interesting situation at the time Tall Stories was winding down. Although we were still together we were only half the band it was just Jack and I at the time. The guys in Tyketto asked me to write, we were neighbors they were down in Jersey and I was living in Brooklyn at the time. And they just asked if I would come down and write a few songs with them. So I said absolutely sure. They all lived in this fantastic beach house in Belmar, NJ living the life of a rock band. Their vocalist Danny wasn’t there and quite frankly I couldn’t understand why. They said he was living out of the country or living out of state. So I never thought anything of it. We wrote for two weeks and at the end of two weeks they explained that they had split from Danny and they were offering (me) the job as the vocalist. So to make a very long story short, Danny and I are world’s apart singing wise. We’re just two different kinds of singers. I thought it was wise and they agreed to have a brand new band name etc. etc. Because the direction was quite different than the typical Tyketto record. And just as we were about to sign papers and release the record, the label in Europe got cold feet and said they didn’t want to release the record unless it went under the banner of Tyketto. So we were kind of up against the wall and we had no choice but to do so. As good as the record was and I appreciate you liking the song “Get Me There”, the fans kind of got freaked out. And I don’t blame them because they were expecting more of the same except with a different singer. I think the band stayed together for six months, it was less than a year and then we disbanded as well. But I had a brilliant time working with the guys. I had a great time writing with them compared to Tall Stories who were going through a dark period and when I joined the Tyketto guys it was like a breath of fresh air. As if the clouds had cleared and there was this big sun, sunshine and actually that was half the reason we called the record Shine. And that was probably going to be the name of the band as well. It was a great experience, I never regret it and I think there was some really great songs on the record too. Yeah, I agree with you it was a pretty neat ballad. Early in my formative years musically, I was a huge Rod Stewart fan. One of my first albums that I owned which was Every Picture Tells A Story. And the very first single I owned was “Maggie May”. It was engraved in my soul and it kind of has a little element of Rod in it. RSC: Things didn’t end the way you would have liked with Journey. What caused you to have trouble singing and how long did it take to get back to normal? SA: Well it was a combination of a couple of things. It was excessive touring, the voice just never really getting the break it needed. On top of it I had acquired a bout of some serious, very rare pneumonia. When we travelled in the southwest of the country I somehow picked up this incredibly rare infectious disease. It was so bad that they gave me an extremely high dose of antibiotic. The cure was almost as worse as the illness. I was nearly paralyzed from the antibiotics. So that was the beginning of the end. There was never time to recuperate. I never quite was a hundred percent. One day it just came to a boil. I needed to rest and they needed to keep on going. When I started with them in 98’ we were playing 1500 seaters. We had worked our way up through the years back to where they were in arenas, the big sheds and outdoor venues and playing 70,000 seat festivals. Basically the guys just weren’t ready to stop and I just needed to. I couldn’t persuade them to slow down the locomotive, it was on its way. So I had to step off and I have no regrets. I’m just glad I’m singing again and doing what I love and going out and reaching the fans I made along the way. On top of it having some fun writing some new music and playing that along with the Journey catalog, that everybody loves. RSC: Looking back on your career does one album or song stand above any other for you? SA: Not particularly. Every song that you sing has its individual connection with. There was one song in particular that I have yet to do live with my band “Live and Breathe” that was on Arrival that kind of has a specialness to me. Another song was “Butterfly” that was on the Generations record, was kind of special to me it had a really deep meaning. RSC: Friday when we see you at the Casino do you play a varied set list of your career? SA: It depends on the show. Sometime depending on how we feel we kind of mix it up. We used to play a lot of my solo stuff at one time. We may play a little less or a little more. But certainly we hit upon all the Journey records that I recorded as well as all the big hits.. All in all they’re really looking for a vocalist that sang with Journey and they’re expecting to hear the Journey songs that they love. So first and foremost I’m gonna give them that. I’m gonna give them what they paid their money for and anything else is gonna be a little icing on the cake. Just to keep it interesting and just keep everyone on their toes. RSC: Have you played “Wild On The Run” at all? SA: You know we haven’t. We’ve done “Sister Of Mercy”, but we haven’t done “Wild On The Run”. Although I’m afraid we won’t be doing it this time around up at Seneca, that’s a song that is in the next three that we’ll be working into our set. We’ll probably be playing it in the summertime. That’s a good call on your part. RSC: Well that was the first song I ever heard you on. SA: That was also the song that Neal Schon had heard. The way he explains it he was driving his car down the highway somewhere in California and the song came on and he pulled off the road. He was trying to remember which Journey record it was on. He was trying to figure out when they recorded it and what album it was on. Until he realized it wasn’t and they started doing some research and he and Jon (Jonathan Cain) decided if the band was to ever go on without Steve (Mr. Perry) they would look me up. So in 1991 we were label mates on Epic their band being Bad English and my band being Tall Stories so that’s kind of how that happened. But let’s face facts I wouldn’t be here without the master Steve Perry himself. So I owe everything to him in a roundabout way. Without Steve Perry there wouldn’t be any Steve Augeri. I’m just happy with the way things worked out is fine. I wouldn’t change a thing.